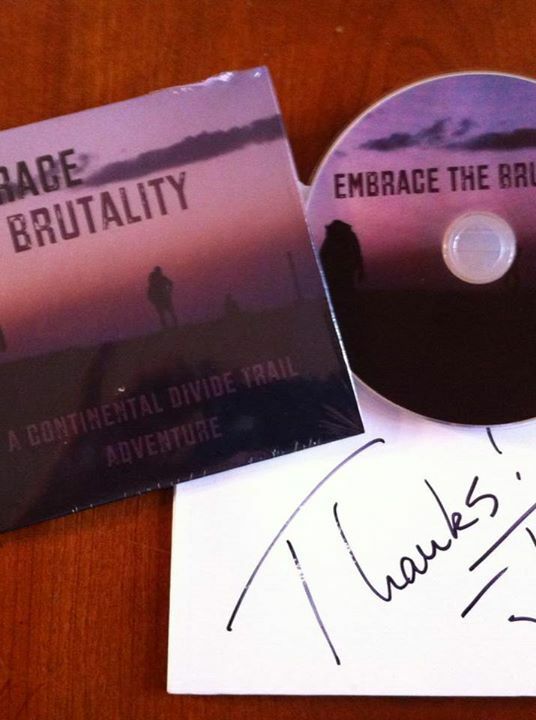 In Episode 17, Jester and I speak via phone about his 2013 DVD release “Embrace The Brutality” which documents his 3100 mile thru-hike on the Continental Divide Trail. In the podcast, Jester talks about his first backpacking trip, his high and low moments on the CDT, what it takes to hike, film, and produce a major film on the Trail, and a major hike that he has planned for Europe. Jester also offers some general advice to those that plan to hike the CDT and gives great insight for those that are contemplating a major hike through the Rockies. In September, Jester will receive the prestigious Triple Crown award at the ALDHA-West event which is given to those that complete the entire Appalachian Trail, Continental Divide Trail, and Pacific Crest Trail. Congrats to him – because there are only a handful of backpackers that will ever earn that distinction. For more information on Jester and his DVD’s – which include a documentary of his thru-hike of the Pacific Crest Trail – follow this link to his website or visit his page on Facebook. Great podcast – really good interview. Glad you enjoyed it. Jester captures the trail experience well. Let me know if there are other trail folks that have a good story to tell.